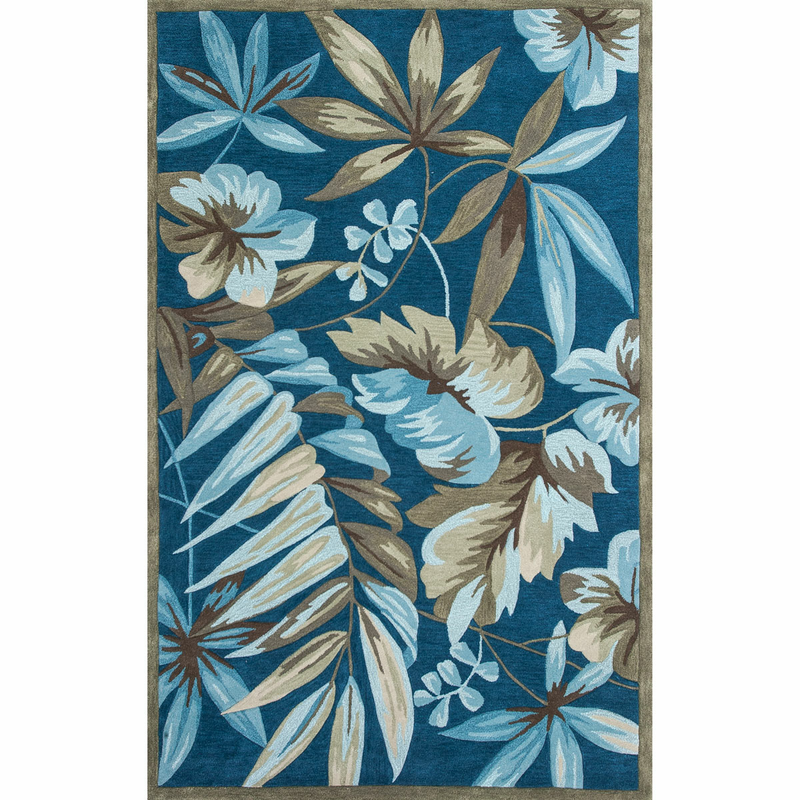 Showcase your tropical style with the Coral Ocean Tropica Rug - 8 x 11. This nautical area rug is designed with shades of blue and brown foliage on a blue background surrounded by a thin tan border. For many more offerings, we invite you to take the opportunity to explore our comprehensive range of coastal area rugs at Bella Coastal Decor today.